Developed by The Odd Gentlemen. Published by Sierra. Released July 28th. Available on PC (Reviewed), PS3, PS4, Xbox 360, and Xbox One. 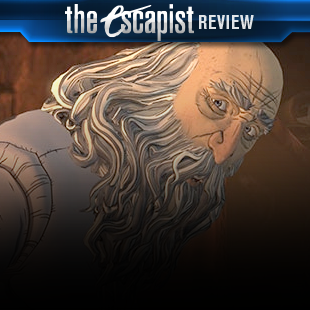 The definition of "adventure game" has changed since the days of the original King's Quest. What used to be a genre about banging your head against puzzles and dying repeatedly, has evolved into something more cinematic after the rise to popularity of Telltale projects such as The Walking Dead. 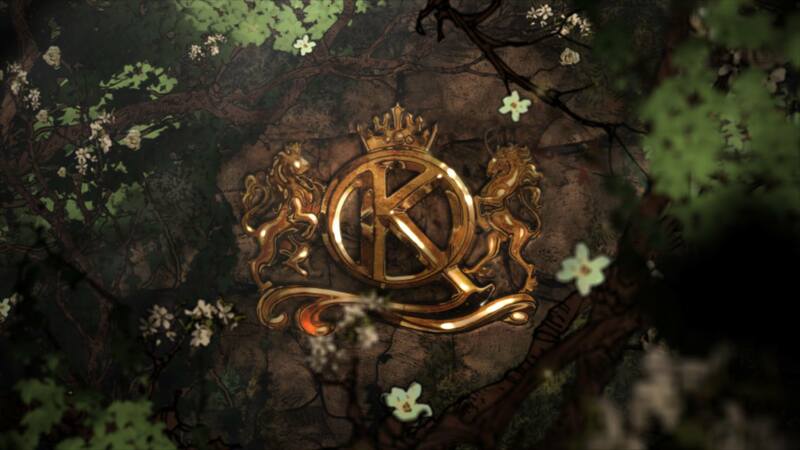 It would have been easy for The Odd Gentlemen to make their revival, King's Quest: A Knight to Remember, into a Telltale clone with a focus on dialogue choice and we would have liked it. Instead, they decided to go one step further and attempt to make it feel like an older Sierra game, while still adhering to the modern adventure game formula. For better and worse, this gives King's Quest: A Knight to Remember a unique identity in a genre whose games tend to feel like carbon copies of one another. 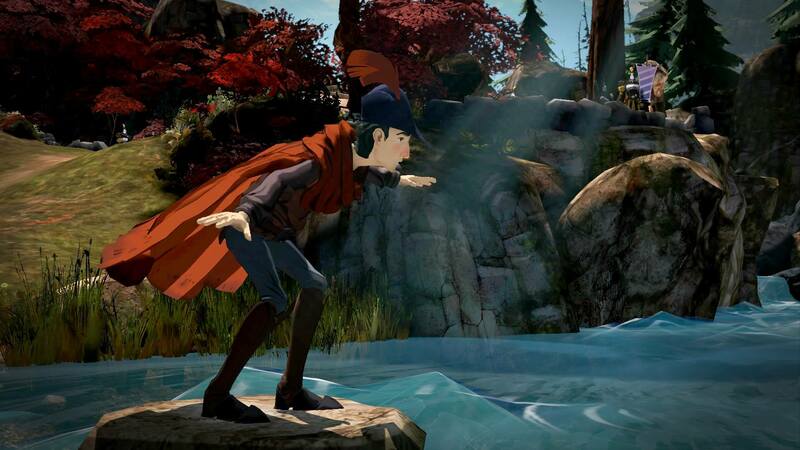 King's Quest tells the story of, well, King's Quest, but in a new way. King Graham is now old and withered, nearing the end of his life. He spends most of his days in bed, telling his stories of adventure to anyone who will listen. His favorite audience is his granddaughter Gwendolyn, a rambunctious young scamp who has inherited his love of adventure. This is the frame for the plot, a Big Fish story when your actions make up the story itself. Episode 1 begins far before Graham was even a knight, much less a king, and by the time episode 5 ends, the events of all prior King's Quest games will have transpired and we will have rejoined Graham and Gwendolyn in the present day. What's unique about this format is that there is not one, but three plots running concurrently. The first is the story that is being told, the events of the past that you, the player, get to influence as a young Graham. The second, is Graham and Gwendolyn's narration over the story, which doesn't always line up with the actual events that transpire. Graham loves to embellish his deeds telling Gwendolyn of what a fearless knight he was when in actuality he was tripping over his own two feet and acting as comic relief. The third, is what happens to Gwendolyn after the stories are told. She learns something from every tale and we get to see her apply this knowledge to conflicts she faces in her day to day life. There's something heartwarming and magical about watching the younger generation learn from the advice of the older generation. It's almost symbolic of how this game came to be, with older King's Quest titles informing the design of this new one, and you getting to play the result. 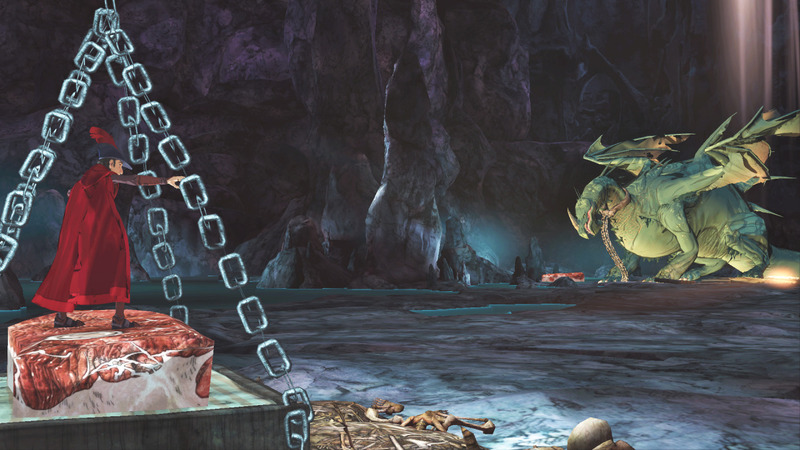 Gameplay is separated into three distinct parts, adventuring, conversing, and quick-time events. While adventuring, you will explore Daventry and solve puzzles, and while conversing, you will learn important information, meet new allies, and make choices that will alter the narrative. When there's a quick time event you are... pressing buttons to not die. Not everything can be innovative. 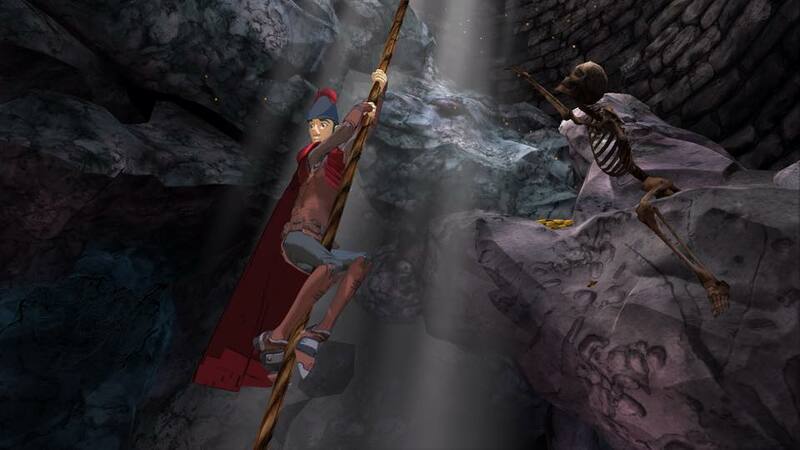 King's Quest sets itself apart from other modern adventure games by including these gameplay elements in different ratios to what you might expect. While most of a Telltale-style adventure game is spent conversing, you spend most of King's Quest adventuring. There's always a new puzzle to solve or place to go, and it makes the game feel very active and interactive. It doesn't feel like you are just watching a movie and making a choice every so often. In fact, you frequently get to make choices outside of dialogue. Many puzzles have multiple solutions, and how you solve them is as important as what you say afterward. Heck, there are even quicktime events that you can complete different ways!